Air Malta registered a 35 per cent increase in passengers on its Malta-based routes during August, its busiest month of the year, compared to last year. It carried a total of 244,799 passengers to and from Malta. Air Malta was one of the main contributors to the 9.5 per cent growth registered by Malta International Airport during August. In addition, during the month, the Maltese airline carried almost 11,000 passengers on its fifth freedom routes, namely Catania-Vienna, Catania-London Southend and Cagliari-London Southend routes. Paul Sies, Air Malta’s chief commercial officer, said: “Every month, over the past year, we have increased our passenger loads substantially when compared to the previous year. “This month, once again, we achieved an average seat factor of 83 per cent. Clifford Chetcuti, Air Malta’s chief executive, added: “This growth in our busiest month of the year is welcome news for Air Malta, especially because historically, flights in August have a very high seat load factor. 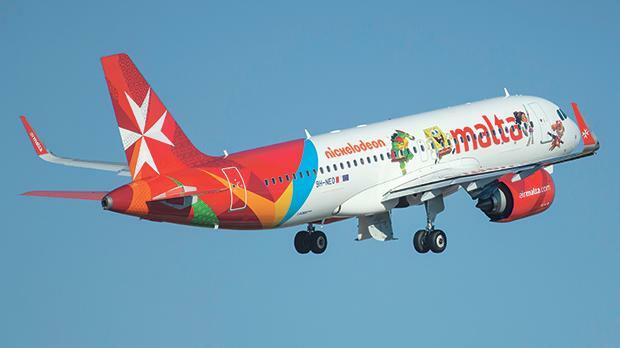 Air Malta’s chairman Charles Mangion said: “We continued to see double digit growth figures in passengers. Despite these good results we need to continue actively selling the additional capacity we floated on the market.